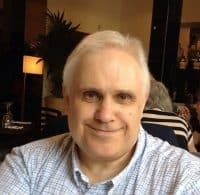 What is the name of your blog and how did you decide on your blog name?My blog was originally the very original ‘Clive’s Blog’ but I decided to change the name when I retired, to reflect my new status in life. ‘Take It Easy’ seemed to fit this, and it’s taken from a song you may know. What prompted you to start on this blogging journey?I was off work for nearly ten months in 2011/12 with depression, and part of my rehab when I went back was to take a course of Cognitive Behavioural Therapy (CBT). My counsellor set me writing tasks as part of this, to record my thoughts and feelings, and it was his suggestion that I turn these into a blog, as he said my writing was ‘inspirational’ and would help others. This is how I started, in late 2012. Those first posts are under the ‘My Story’ tab in the menu at the top of my blog, and give people a good idea of why I began. I don’t think I’ve any real achievements to speak of. 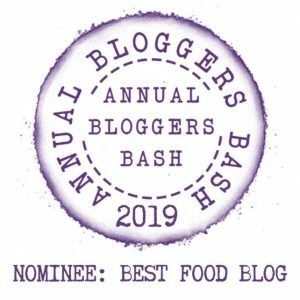 I received several blogging awards in the first year or two, but I’ve removed the badges from my site – they felt like bragging, and that isn’t really me. My sense of achievement is from the many interactions I’ve had with people who have read my posts – particularly the ones relating to mental health – and who tell me that my writing has helped them in some way. Open and honest, there’s no point in doing it any other way. I also pride myself on writing to a good standard of English – I do, after all, have a degree in English Literature! I like to think that what I post has some semblance of form and structure, to make it easy to follow. The thought that I can post something into the ether and it can be read by anyone in the world, providing of course that they have an internet connection! 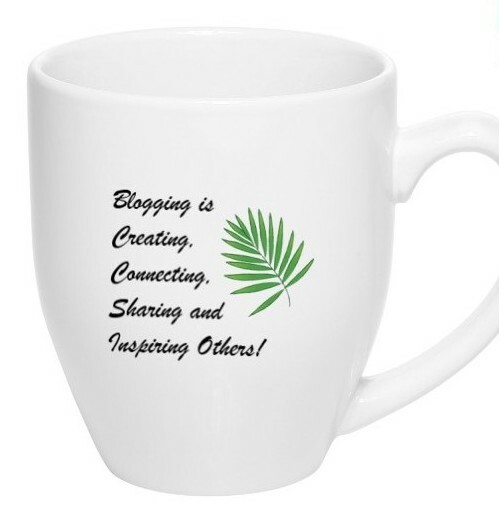 I don’t have a massive regular following but it is always good to meet new bloggers who pick up my posts. I use WordPress. I have one of their free accounts, and this has given me all that I’ve needed. I’m not a professional blogger, I don’t do this for money, so it’s good to enjoy my hobby for free! I kind of stumbled into the WordPress platform, as I knew nothing about blogging before I started – I just googled ‘blogging platforms’ and chose from those I saw. I’m very happy with it, and see no point in changing. As I said, I began writing about depression and mental health. I followed that with a series I called ‘Dates To Note,’ which was intended to raise awareness of a range of health and social issues. I’ve since widened into more general thoughts, often along the theme of how times change and, in particular, on music, which has always been an important part of my life. I do return to mental health issues too, as this is very much something that matters to me. Really, I guess I just ramble on about anything that takes my fancy! I don’t blog to any set pattern, I’m not that organised! On average I probably post a couple of times a month, sometimes more and sometimes less. I occasionally take breaks, if there’s nothing I want to write about – the longest of these was seven months! I wouldn’t presume to think I could advise people! All I would say is that, whatever you write about, be sure that it is something you care about. Be yourself, be natural, and your enthusiasm will show through. There’s nothing worse for me than reading something written because the author feels they had to write something – anything – to keep to a schedule when they really don’t have anything to say. I’ve done a couple of them, but I’m not sure they are for me. The one that has grabbed my attention is the Senior Salon, which was created by Bernadette for writers ‘of a certain age’ and which you have recently taken over. I’ve met a number of good blogging friends through this, and look forward to finding more as it develops. I read a lot, mostly newspapers and magazines. I should read many more books than I do! I also watch a lot of sport on tv, especially football (i.e. soccer) and cricket. I spend a lot of time with tech, too: I’m addicted to my iPad and computer! I live in a small town (pop. 12000-ish) called Epping, in the UK. It’s about 20 miles from London, but is much slower paced than the big city. It’s a town with a long history and a very pleasant place to live. On balance I’m an indoors person. I do enjoy going to live sporting events and to live music shows, but I have a long-term health condition which restricts my movement. It’s frustrating, but I don’t let it get me down. There’s always the balcony to my flat, where I can enjoy the good weather – if we ever get any! It feels easier to take these two together. I retired in September 2013, when I reached the grand old age of 60. Prior to that I had for twenty years been a manager in our National Health Service – I had many jobs in that time, but a recurring theme of these was working with our clinicians to help develop new services. As to what I do apart from blogging, please see answer 1 in this section! It would be great to be young again, with all the dreams and expectations of youth, but I’m happy the way I am now. We get a little older every day – that’s a fact of life we can’t change! Not having to work for a living is a huge bonus, too. Doing the things I enjoy, the comforts of a relaxed lifestyle. – I’ve been divorced and living on my own for 10 years, but have two beautiful daughters from the marriage – I love them both to bits! – I was born and brought up by the coast but never learned to swim – I was afraid of the water! – I’m an awful cook! Thank you for being my first Interviewed Blogger here Clive. This is awesome and I hope that others will get to know you better and will interact with you and the other bloggers as this series go forward. Thanks so much. Thank you. I hope so too, on both counts! Clive, so excited to hear your going to be a grandfather. Being a grandparent really is all they say and more. Thanks for popping in Bernadette. Let me know if you would be interested to also participate in this 20 + 1 Interview. I look forward to hearing from you. Esme, that would be fun. Thanks for considering me. I look forward to your email. Thanks Bernadette. Thank you Brigid. Would you be interested to be Interviewed? Please let me know, as I will be happy to have you here as well. A great interview. Always good to know more about our blogging friends. Congrats on your grandparent news. You will love it!! Yes, being a grandparent is awesome. I just love my grand kids (4 of them) and just wish I could see them more often. Great review. It is nice to meet you Clive. Congratulations for becoming a grandfather. I am very sure you will love it. Have a lovely Sunday. Thank you for visiting and reading the first Interview. Hope and would love to know if you wish to also participate Thelma. You are very welcome. Yes, I would love to participate. I will send you a message when I am ready. Thanks for the invite. Clive, you’re awesome. Thank you so much for this shoutout. I truly appreciate it. Hopefully your readers will pop over snd we can convince them to participate in both the interview ans senior salon series. That will be awesome and I will do the happy dance.